The ColorSpot 250 AT includes a new rotating gobo wheel with 7 replaceable ″SLOT&LOCK″ dichroic glass Gobos + open, and a new colour wheel hosting 10 replaceable ″SLOT&LOCK″ colours + open. The 3-facet rotating prism is now also replaceable. Completely new software enables very smooth rotations of Gobos and prism, and 8 or 16-bit resolution for gobo indexing, prism indexing and Dimmer. The improved cooling system ensures better operating conditions for lamp and reduces noise at the same time. 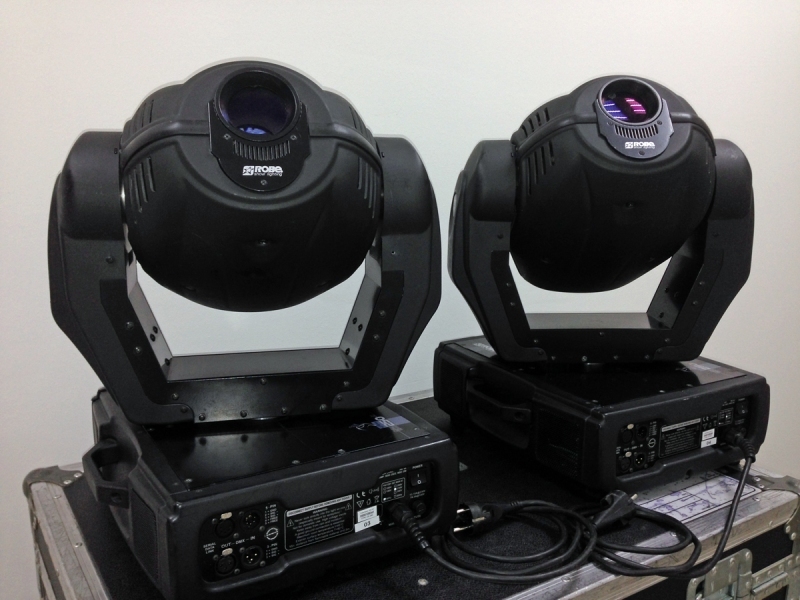 The ColorSpot 250 AT is aimed at the TV studios, small and middle sized clubs and discotheques, and various types of installations. 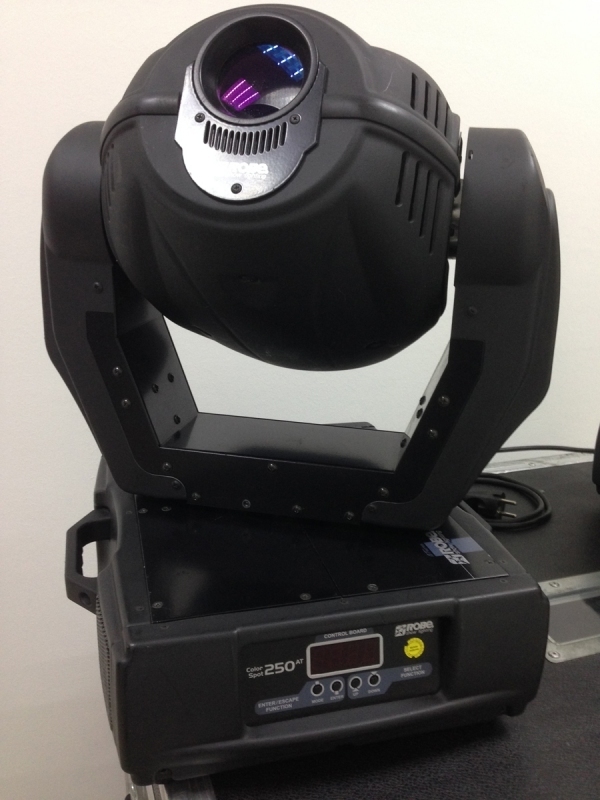 ColorSpot 250AT - Used on various rentals. ColorSpot 250AT - ColorSpot 250AT in great condition. ColorSpot 250AT - Comes with a double flight case.